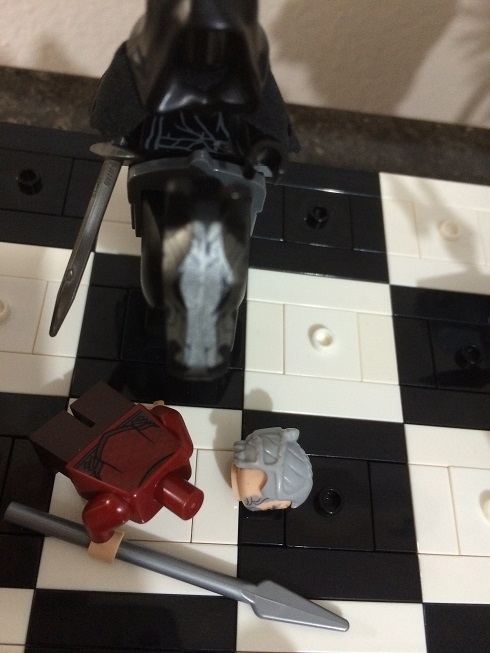 I received my 2015 pirates chess set two days ago. Elegant chessboard and you can store pieces inside of it. 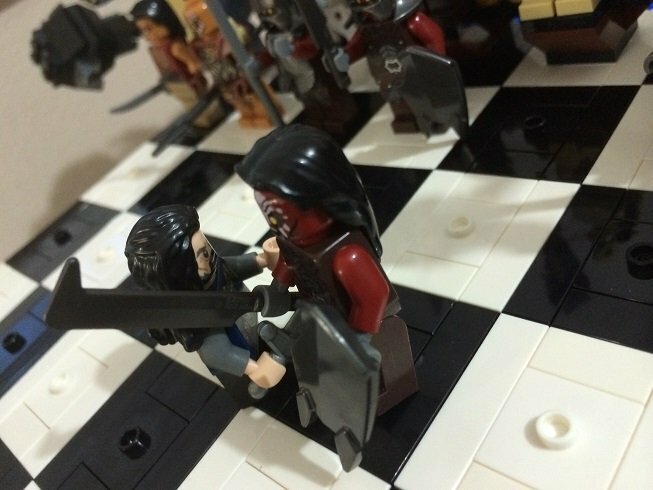 I plan to use its chessboard and my middle-earth minifigures to play middle-earth chess. Sadly, I have doubts a licensed chess set would fly. Otherwise, probably would have had a Star Wars set by now. I wouldn't think so. 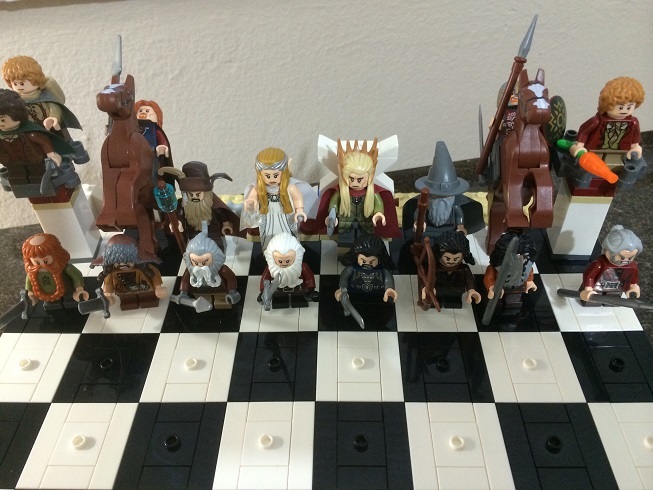 The last Castle Chess set contained minifigures that were all made in China. I think the quality is the same although I am not sure where they were made. Someone should do a comparison. I don't think the blue has had as big of an issue as the red torsos did with the pink coloration. 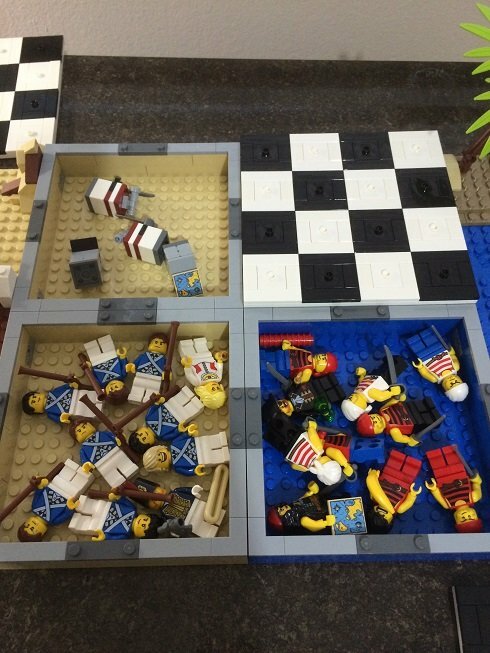 With that said, it'd be silly to army build based on the chess set since the bluecoats don't have epaulets or shakos. And for some reason the admiral has a shako instead of a bicorn. 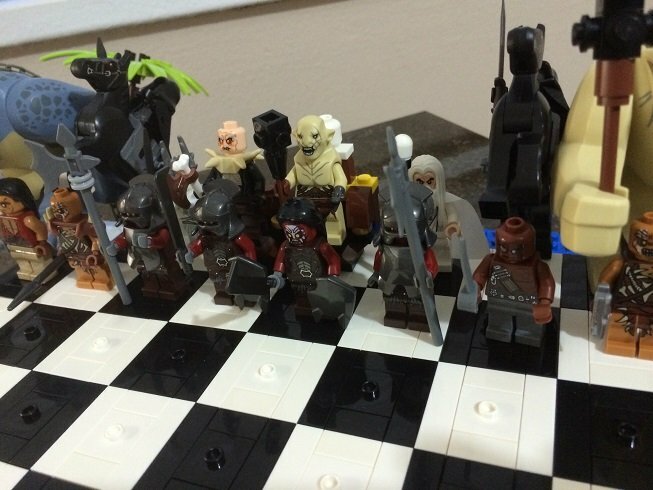 Don't have any of the new pirates set yet, but I just put the chess set together. Will check when I get home to be sure, but the only problem with the solider figs is no hats or epaulets. 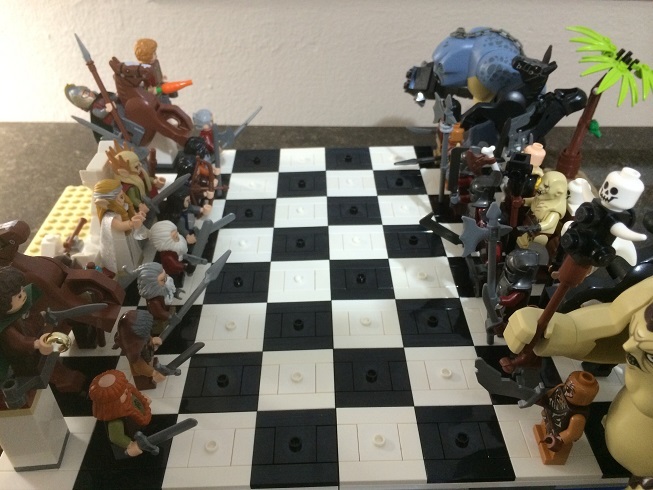 I believe there is only four different heads(two for each side) for the pawns, and the pirates only have 2 or 3 different torsos so there may be a problem there. 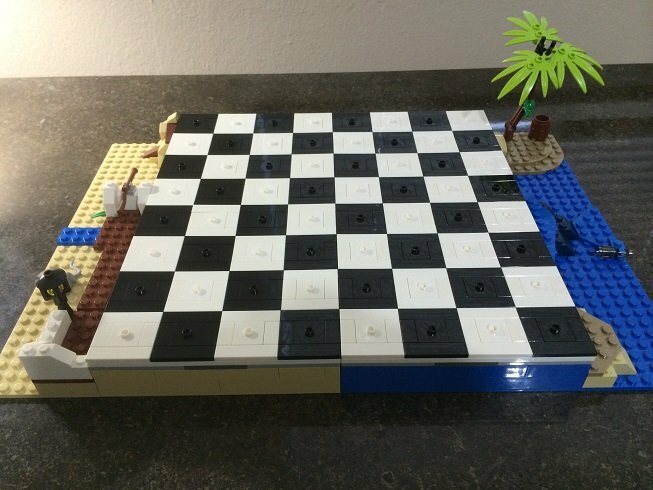 The parts to make the chessboard make it a nice parts pack to make a pirate or a beach scene. 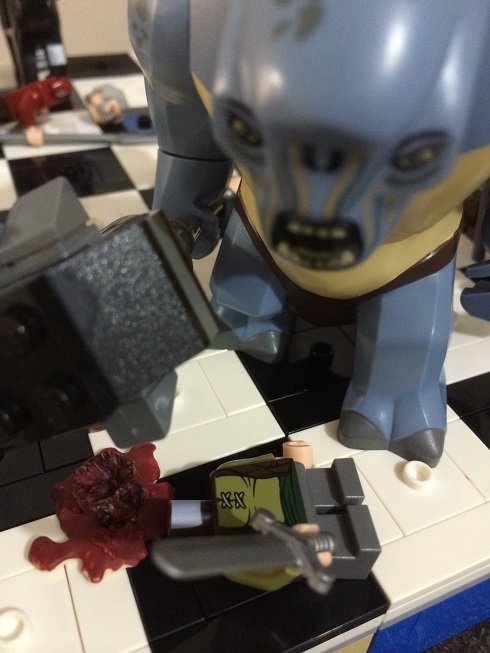 I think mini/micro versions of the two towers would be perhaps better rooks than the trolls if you wanted to attempt it. It looks great though!